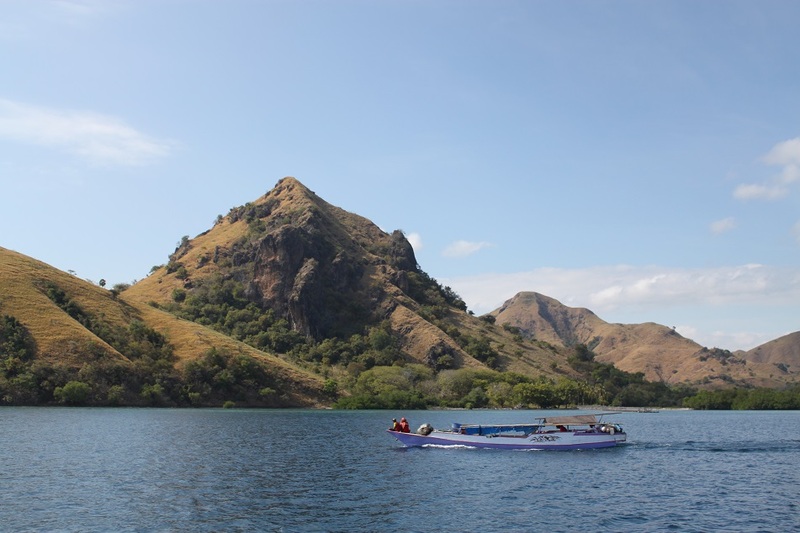 Western Flores: Heading to the Dragons | What an Amazing World! As soon as we left the endless verdant hills of Manggarai, a vast expanse of flat plains scorching under the midday sun welcomed us. No more snaking roads with sharp turns along steep slopes. 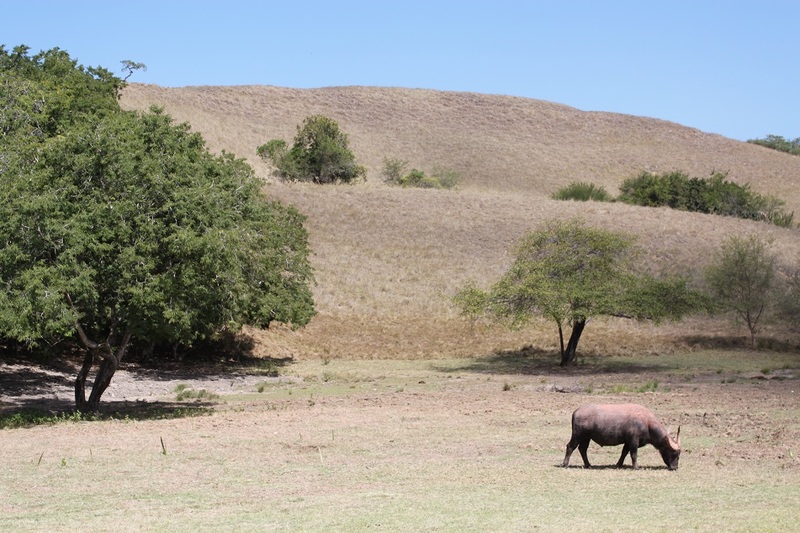 Instead, Dino sped the car on a long road westward to Labuan Bajo, cutting through dry savanna. He turned on the music player and soon Florenese songs with playful lyrics kept us awake, despite the dull sight as far as the eyes could see. 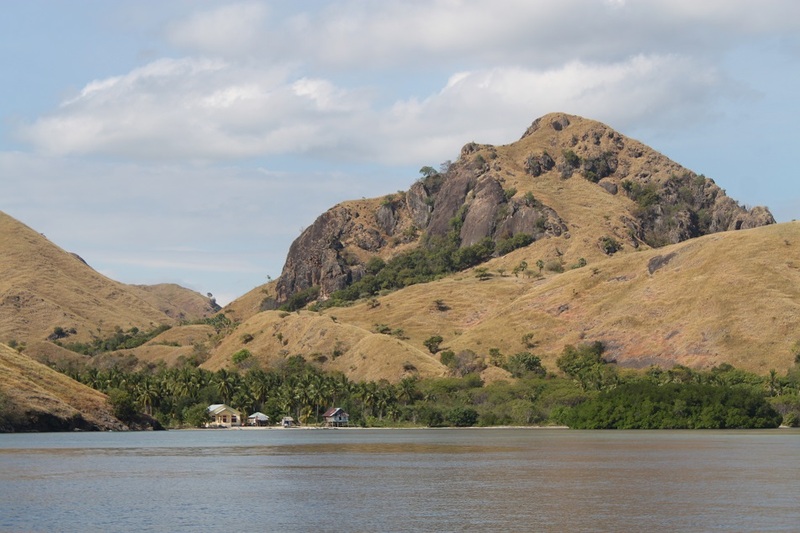 However as we drew closer to the western end of Flores, hills emerged from the horizon. Dino skillfully conquered more twists and turns on the final leg of our overland trip across Flores which began in Maumere. 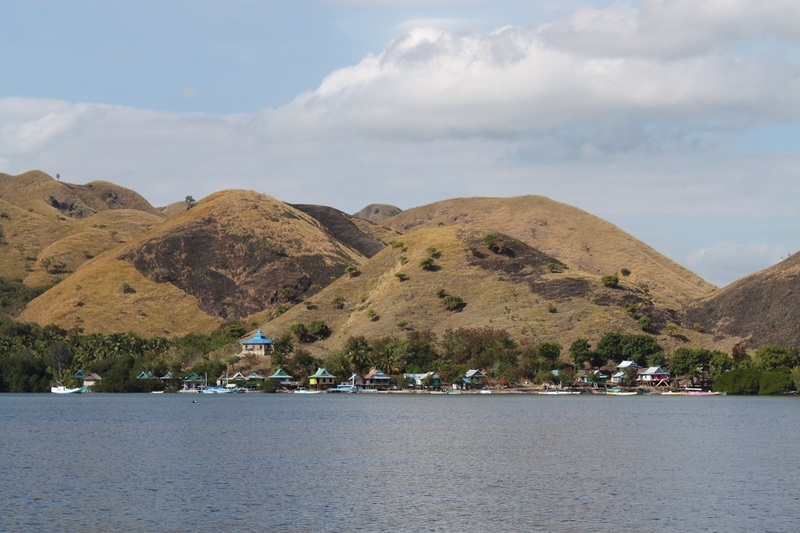 Minutes later Dino drove us through the main road directly above downtown Labuan Bajo with a view we had expected to see: a small bay with several hilly islets near the coast, studded with small and large boats berthed on the calm water. 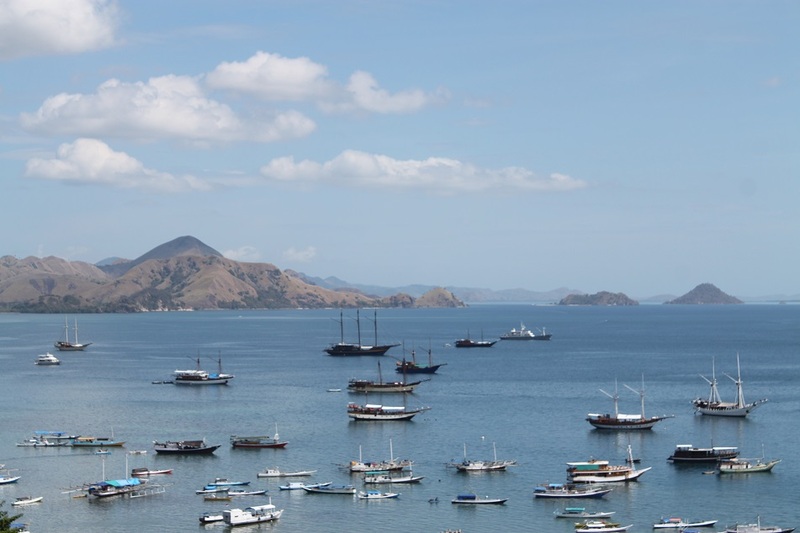 Founded by the Bajo (Bajau, the sea gypsies) and Bugis (mainly from Selayar Island in South Sulawesi) communities, Labuan Bajo was once a part of the Sultanate of Bima from the neighboring island of Sumbawa. 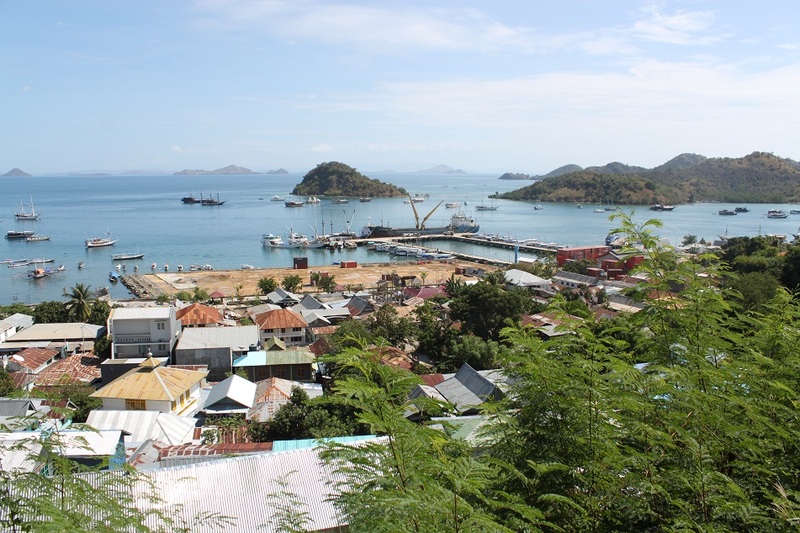 Today the town of Labuan Bajo, or a fishing village as Dino wittily referred to it, is one of the few places in Flores with a significant number of Muslim population. 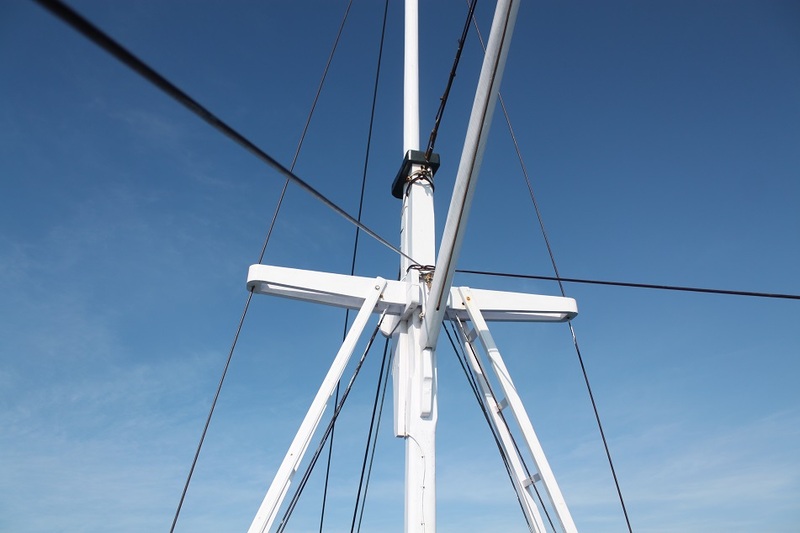 “Bajo people built the stilt houses, while Bugis people built the ships,” Dino explained the unique relations between the two settlers. 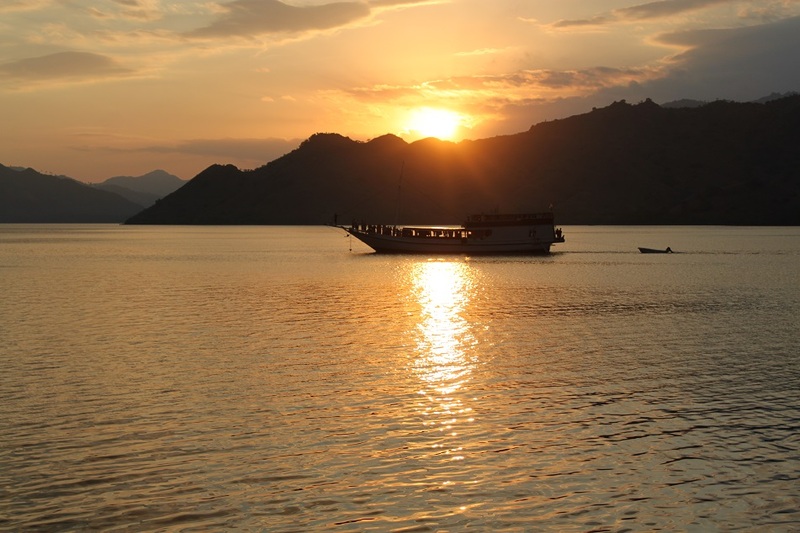 The once sleepy village had turned into a thriving tourism hotspot among the long chain of Sunda Islands – which Bali is a part of – since the government shifted its focus away from the world-renown Hindu island. Rows of new hotels and guesthouses sprung up, some even awkwardly tucked between people’s houses. 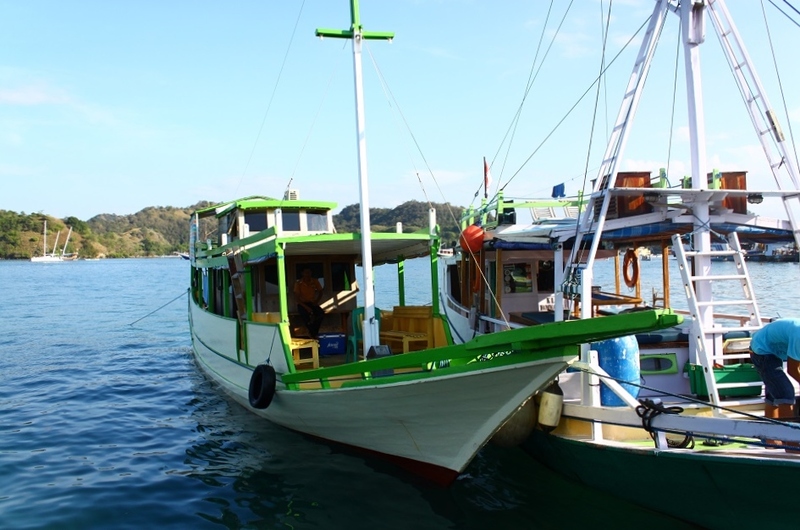 On the sheltered bay, a plethora of pinisi boats, including names affluent customers are familiar with, came to anchor at the shallow waters. Not a typical sight of a fishing village, for sure. People come to exotic places to look for breathtaking scenery, unique cultures or unusual natural features not found anywhere close to home. But some leave the comfort of their homes and travel to a faraway land to see giant lizards known to prey not only on deer and buffaloes, but also, disturbingly, on humans. 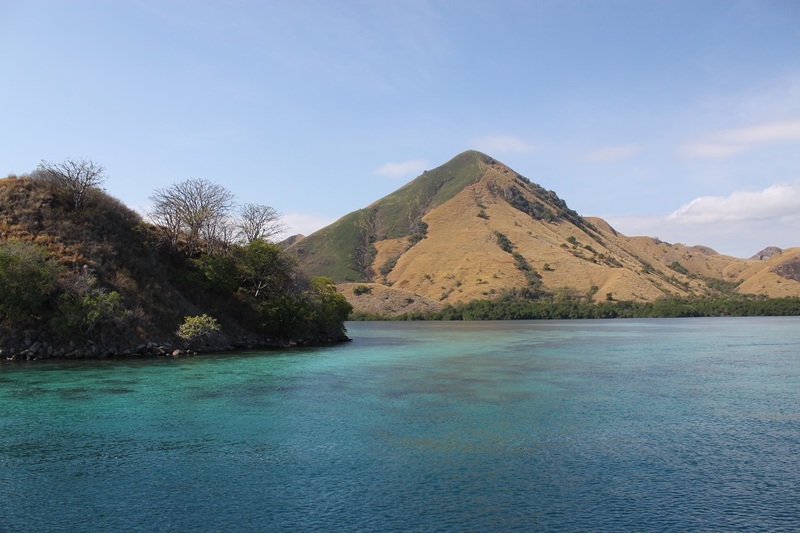 Labuan Bajo provided a convenient base to explore the islands of Komodo and Rinca, the natural habitat of the ferocious dragons. 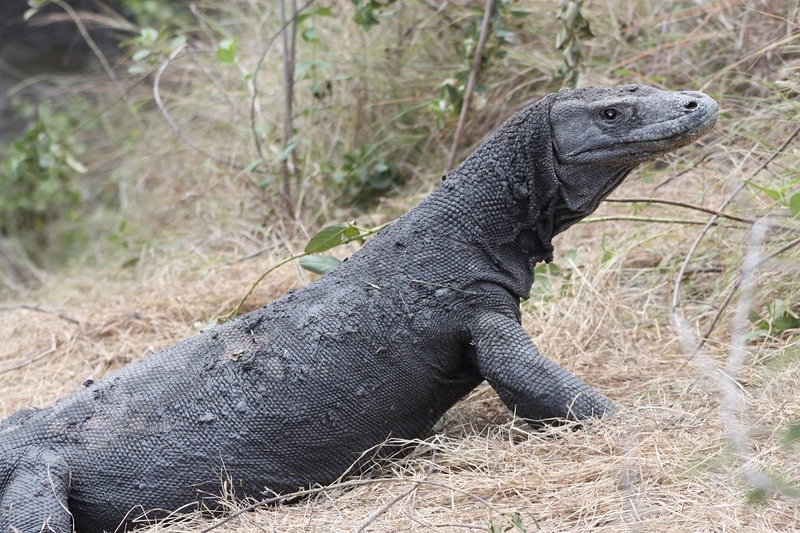 Measuring up to 3m long with the weight of up to 70kg, the Komodo dragons, called orah by the local people, are believed to be the survivors of a cataclysmic event which ended the age of giant reptiles on the planet. It was Gonzales, a native of Labuan Bajo with an athletic posture and skin darkened by the sun, who became the guide for our two-day island-hopping trip aboard KLM Fammasena. Dino, in the meantime, had to drive all the way back to Maumere right after he sent us off at the harbor. 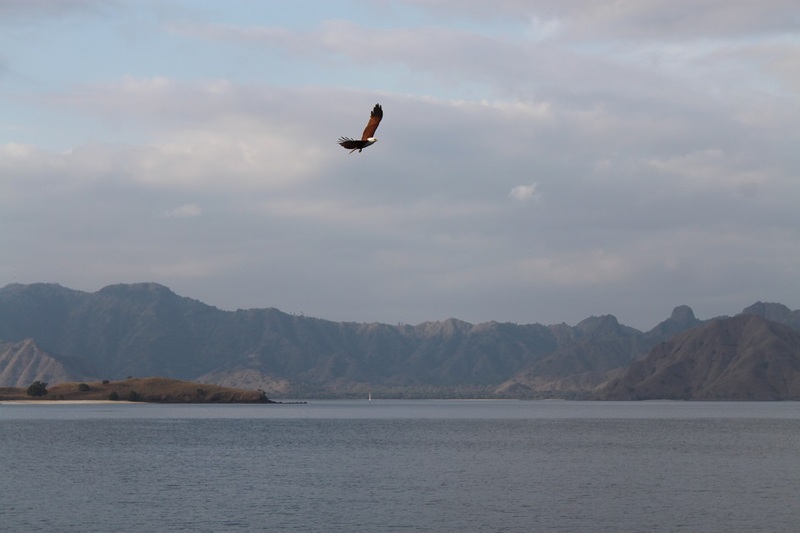 The captain wasted no time as we boarded our small private boat, and moments later we were already sailing past the small islands on the fringes of western Flores to reach our first destination: Rinca. And they shared the island with more than 2,000 dangerous dragons, capable of killing an adult man with one bite. 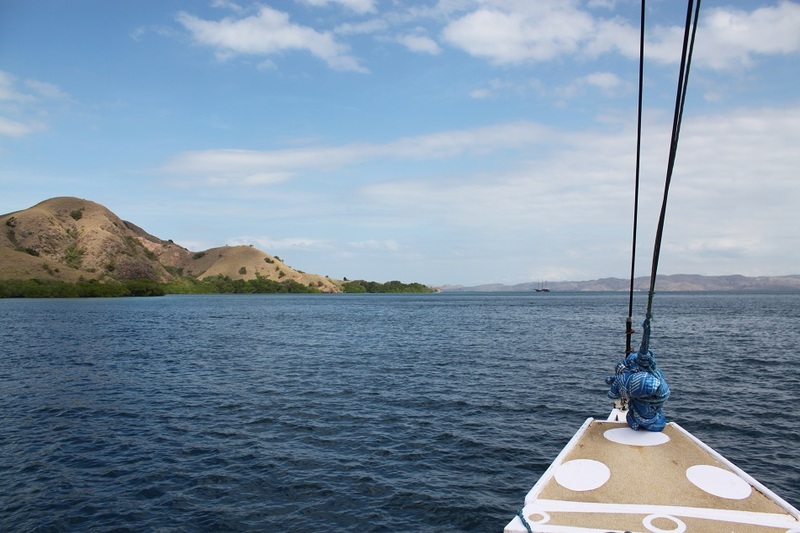 Two hours after crisscrossing the cerulean waters, speckled with patches of turquoise coastlines framing dry islets, we arrived at Loh Buaya, literally ‘Bay of Crocodile’, at Rinca. Not limited to crocodiles, the term buaya is often used by the locals to describe any large reptiles, including the Komodo dragons. Rimmed by lush mangrove forests, the bay provided the entrance to one of the main islands where the dragons roamed freely, protected by the law. Behind limestone hills which opened up into an expanse of dried marshes, two giant statues of the dragons guarded the pathway to the ranger’s office, evoking scenes from the Jurassic Park. A short middle-aged man in pale green uniform greeted us and introduced himself. The native islander was our guide to explore the island as visitors were not allowed to wander beyond the ranger’s office on their own. “It is currently the mating season for the dragons, and usually they hide in the forests. 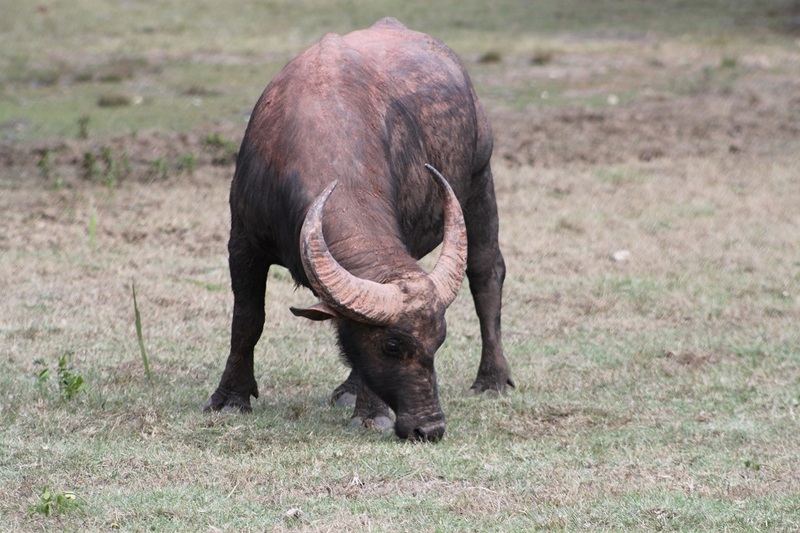 But a few days ago there was a dead buffalo in a mud pool, so I will take you there,” he explained to us the reason why he would not take us through the usual trekking path. Holding a wooden stick with a Y-shaped end, he led us to a leafy ground not far from the ranger’s station to search our first dragons. And it didn’t take long to spot some. A large male was resting under a tree and opened his eyes as we came closer. Moments later he closed his eyes again, showing no interest at the three adult men who were standing at a safe distance from him. To my relief the dragon had just finished eating, the ranger told us. Two younglings were then spotted not far from where we were standing. He then led us to walk further inland. After a short walk through dirt trek occasionally dotted with signs reminding visitors to always stay in group, we arrived at the mud pool where a rotten carcass of a male buffalo laid half-submerged. A young dragon stood near the horns, devouring what’s left from the ill-fated beast. Another young dragon lurked from a sloping wall, repeatedly sticking its tongue out to assess the chemicals in the air before joining the macabre feast. High above them a grown-up female Komodo dragon watched carefully, her dark grey scale was partially wet and gleamed under the sun. 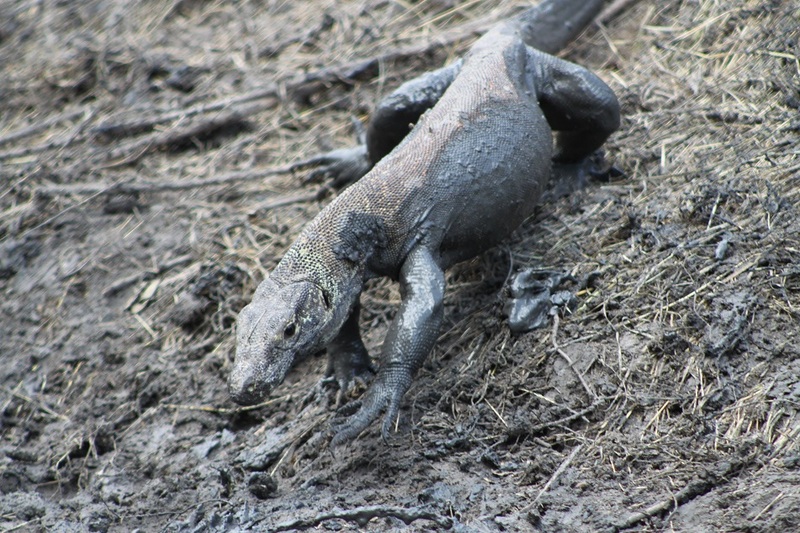 She must have gone into the mud pool a few minutes earlier before the young dragons did. 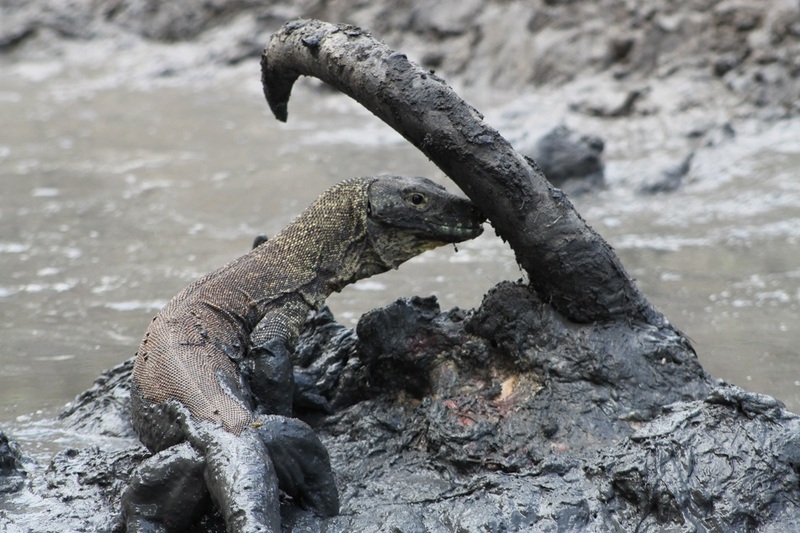 “Komodo dragons are individual hunters, but they share their prey with other dragons,” the ranger said. Standing only a few meters away from the adult female I was surprisingly astonished by her gracious stature, regardless the dragon’s bad reputation. 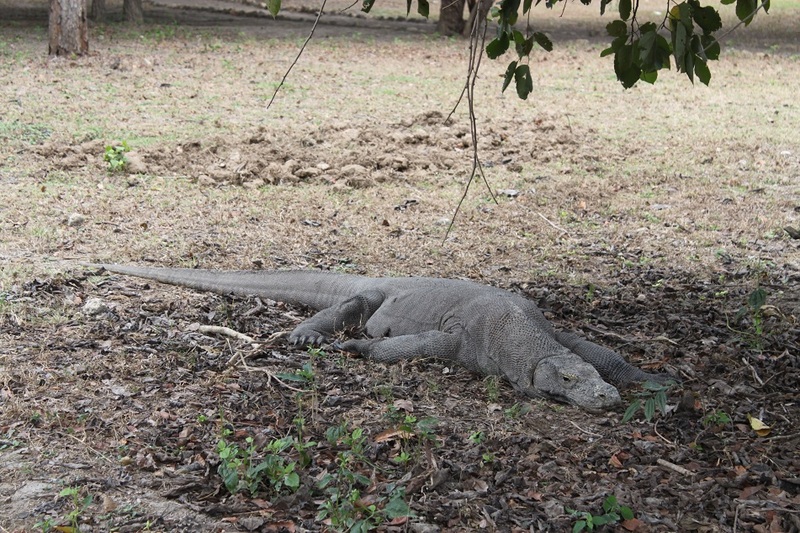 Big, dangerous and menacing, but at the same time graceful, lazy and curious. 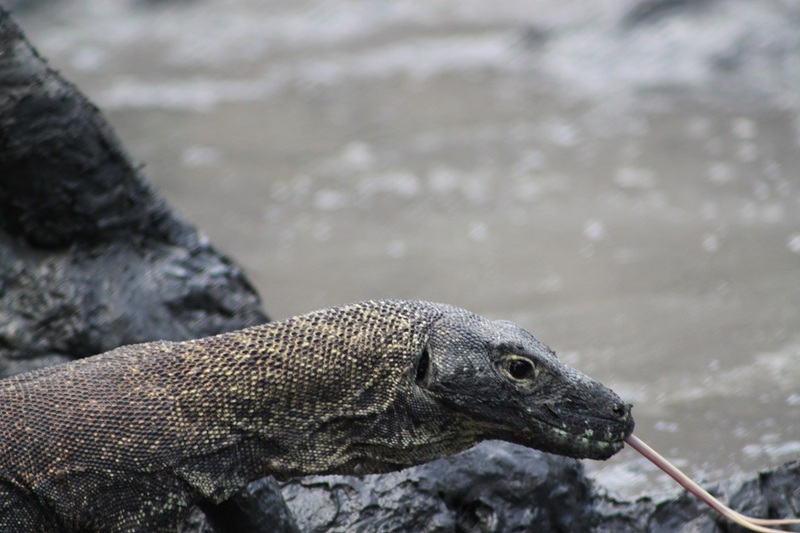 Komodo dragons have survived one of the worst disasters ever happened to Earth, but they might not be prepared to survive humans. “We’ll go to Pink Beach and do some snorkeling there,” Gonzales told us when we met him at the ranger’s station after finishing the short trek. White sand beach, not pink. “It used to look really pink, but now you have to come closer to see that the sand is actually pink,” Gonzales added. Shirts off, goggles and fins on. We then plunged into the water with strong current to start snorkeling, our first time ever. The current proved to be a little too strong for me, plus I started out panicking as I couldn’t figure out how to swim with fins and to breathe through the snorkeling gear. I ended up swimming frantically and gulping sea water, and the farther I was left behind Gonzales and James the more panicked I became. The first few minutes of my first snorkeling experience turned into a nightmare. I waved my hand at Gonzales and James, and realizing the trouble I encountered Gonzales told me to swim to the nearest point of the beach. He then changed course and waited for me at a shallow water near the beach. As I managed to swim closer to him, he asked me to step on the place where he rested, which turned out to be a sharp rock. Losing my balance, I slipped a little bit and hit one side of the rock. Then without warning I felt a burning and painful sensation on both of my feet. A sensation I knew from two bee stings I got years before. It was obvious that I landed on a wall full of stinging anemones, together giving me a very unpleasant surprise as if I was stung by dozens of bees. But at that time all I cared about was getting to dry land as fast as I could, so I swam to the beach with James not far behind. Only on the dry land I figured out that he was too having troubles with the equipment. We calmed ourselves and breathe. A few minutes later, in a much calmer state of mind, we started looking around the beach and we scooped the sand with our hands to look closer at the color of it. There were tiny red speckles in the sand, but clearly not enough to make the beach look pink from afar. We continued our inspection until we realized how Gonzales was swimming at the shallow waters while waiting for his first-timer guests to get back into the water, which we did not long afterward. With more confidence we left the comfort of the beach and started swimming. It didn’t take long to understand why this part of the national park was a preferred spot for snorkeling as a breathtaking underwater sight began to unfold before me: colorful soft corals waved with the motion of the currents, while hard corals and sea fans complemented the utterly beautiful coral garden right beneath me. 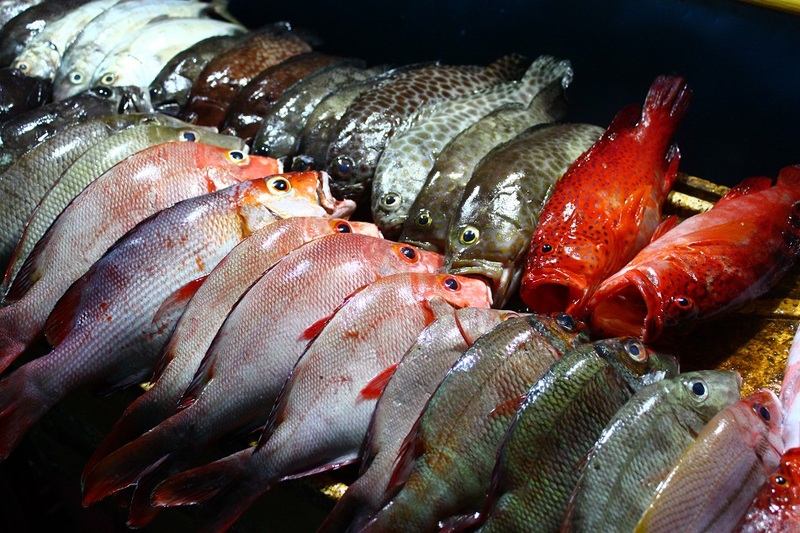 Fish in different size and color played around the corals, undisturbed by an astonished big creature hovering above them. Truly a sight to behold, unlike anything I had seen before. I had two regrets, however. Firstly for not bringing an underwater camera to capture the underwater wonder, and secondly for not learning to use snorkeling equipment properly prior to the trip. The underwater beauty had mesmerized me and made me want to linger a little longer. 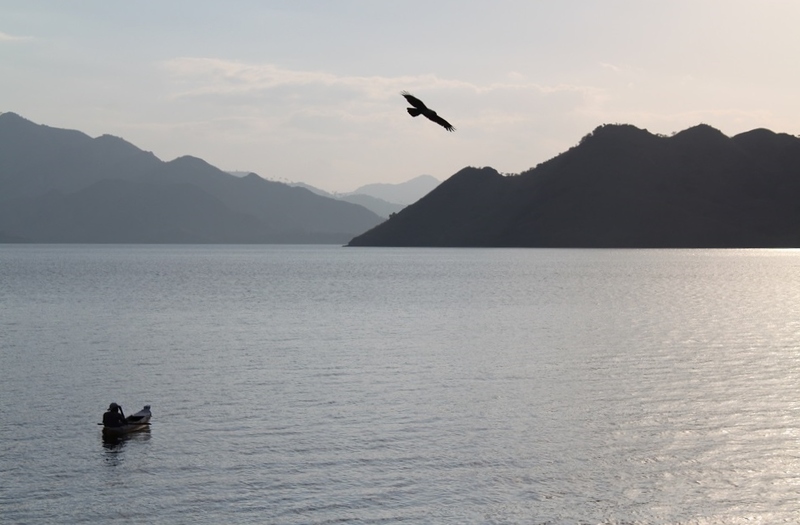 But we had to go back to our boat so that before dark we could reach a point where we would spend the night. The captain soon brought us to a cove with calm water, sheltered from the strong wind and current. As soon as he turned off the engine, local men on traditional outrigger boats slowly approached ours. 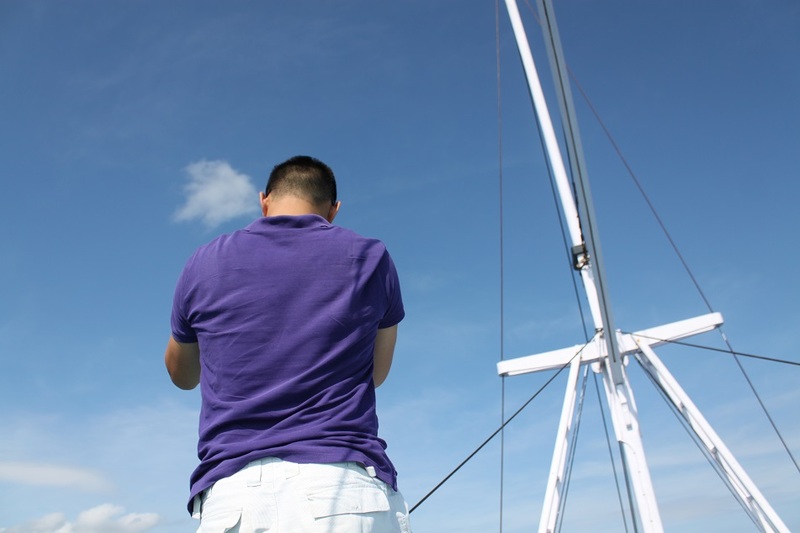 One man opened his bag, took some wooden statues out and put them on the gunwale of our boat. “Souvenir,” one man grinned at the statues of Komodo dragons in front of him. We politely said no to the friendly vendor and minutes later the man with the the others left our boat and went to a small island covered in lush mangroves just meters away. It was the Flying Fox Island, named after its most famous inhabitant: large winged mammals which were actually some of the world’s biggest fruit bats. However that afternoon none of them were sighted, leaving a very quiet ambiance around the cove instead. The sun started to set, and right behind us a hill directly facing the west bathed in bright golden hue with its inverted twin reflected on the water. Riding the wind, a kite maneuvered over the water to catch its last fish of the day before darkness fell. Dinner was prepared, notes were written. A few hours later lights were turned off. 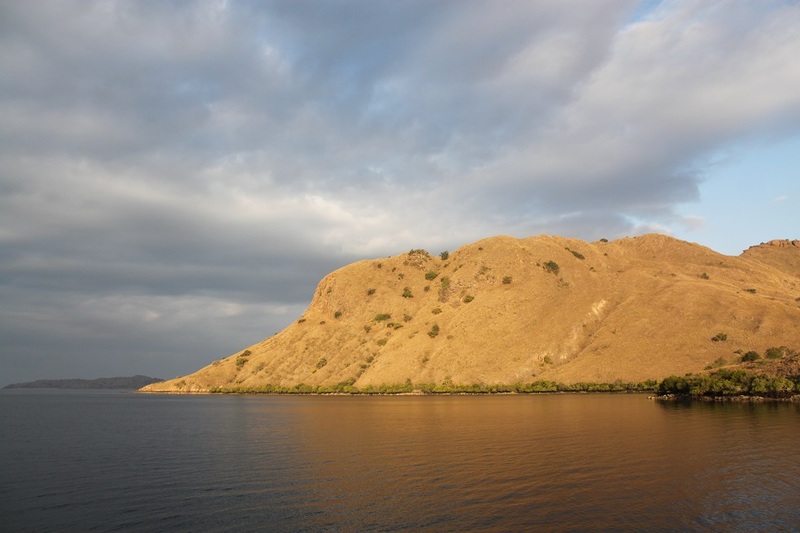 Time for bed before starting another day in the wonders-filled Komodo National Park. this is extraordinary and beautiful post! Hi Mihran. Thank you for your kind words! I would love to check your fan page but Facebook is blocked at my office. Will do that later. Thank you so much for responding back to my message, I appreciate it! Oh, itu masih terbilang belum gersang-gersang banget ya? Saya ke sana bulan Juni akhir. Btw how did you like the food served during the cruise? People always say it is a food galore or something like it.. The food was actually quite good! Our driver told us that the boat crew cooked really well, and they did. But at times I felt like they prepared too many dishes and I always ended up very full. But that’s a good thing I believe. 🙂 Oh and they made really good fruit milkshake too. 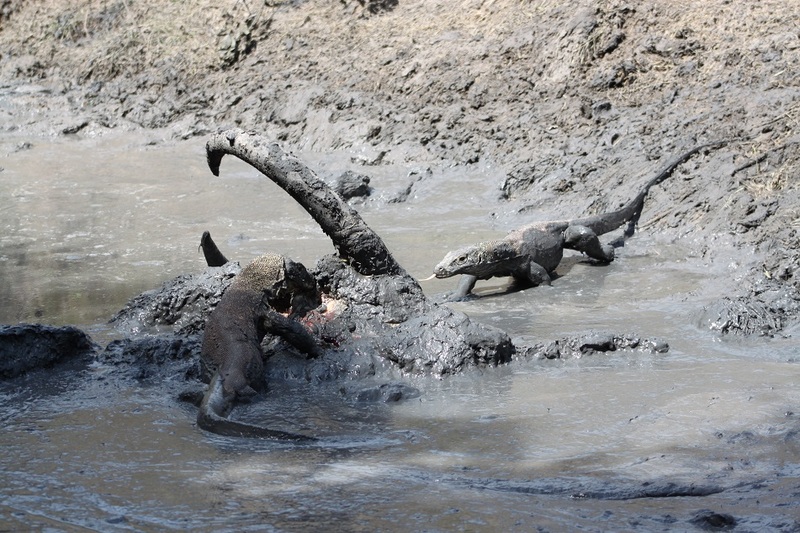 Ah, those Komodo dragons were such majestic, awe-inspiring creatures! And the dry, grassy landscapes seemed to fit them perfectly. When we were snorkelling at Pink Beach, I did wonder why you and Gonzales were resting in an area where the rocks were quite sharp – it’s a real shame you got those nasty sea anemone stings. I’m glad that didn’t put you off snorkelling the rest of the trip! 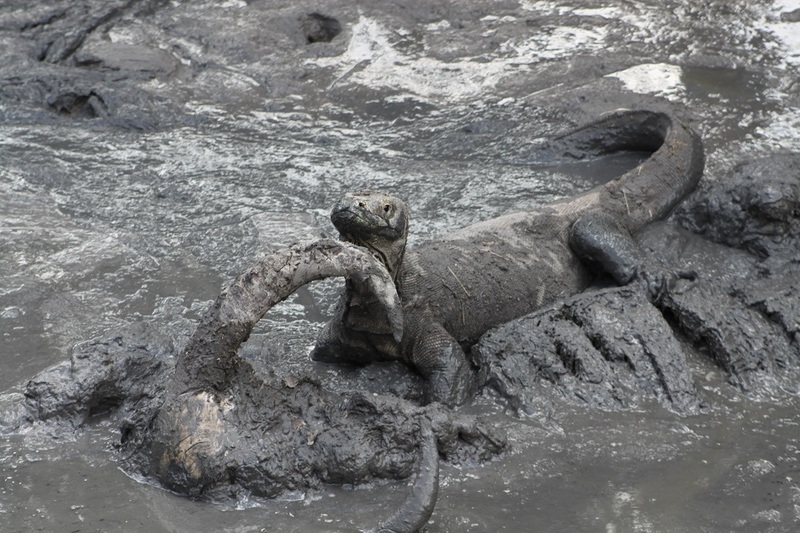 That particular adult female near the mud pool was quite pretty I must say. I was more mesmerized than worried when we were standing really close to her. 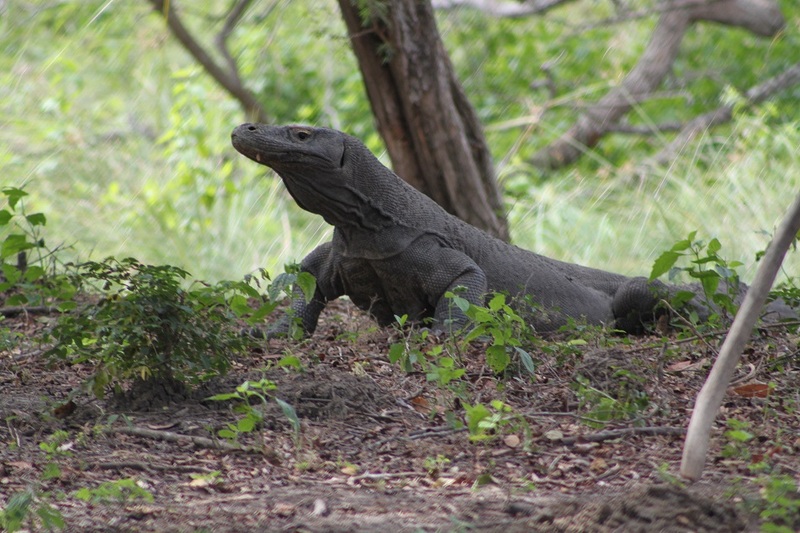 Such a magnificent animal Komodo dragon is. What an incredible experience. I’d love to see the dragons! Thank you for sharing. Hi Jenny. 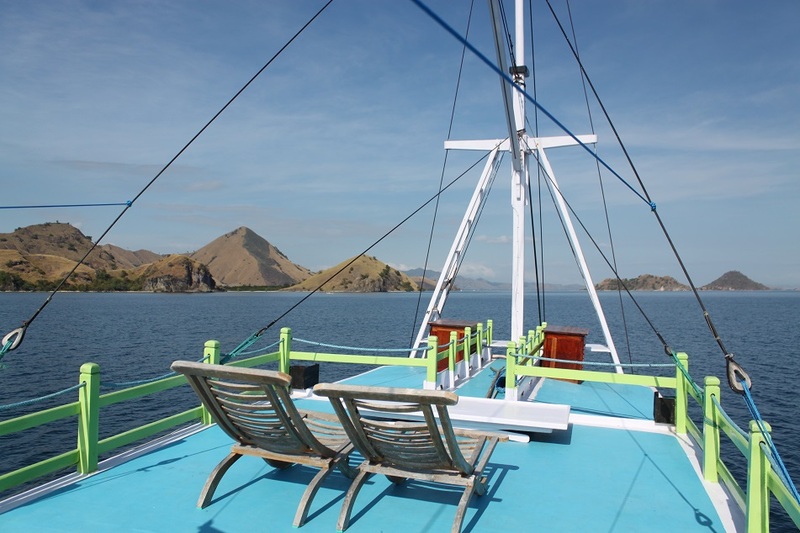 It was one of the best travel experiences I’ve had so far, and I highly recommend Flores and Komodo National Park for those who love nature and culture. You really should see the dragons yourself, maybe they will amaze you more than they frighten you. 🙂 Thank you for reading! Another great experience expertly penned, Bama. Your photos are incredible! 🙂 I was always wondering, if the Komodos swim, then has there ever been news of tourists being killed while snorkelling? I always wondered how people know that the dragons won’t swim to a particular island…same with the crocs. 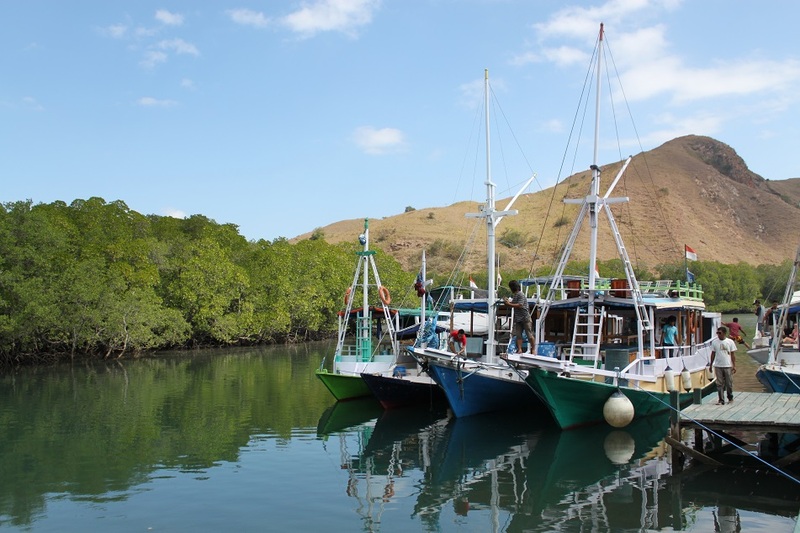 I always saw warning signs for crocodiles in Flores ports, but we are supposed to be believe they won’t swim over to Rinca? Thanks Lee! 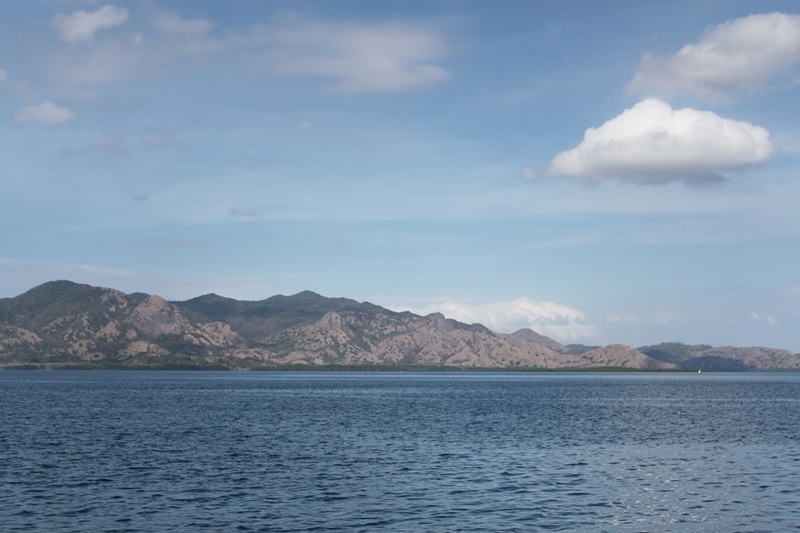 We were lucky to have such a nice weather when we left Labuan Bajo for Rinca because as we moved further away from the town, dark clouds started hanging over Labuan Bajo. 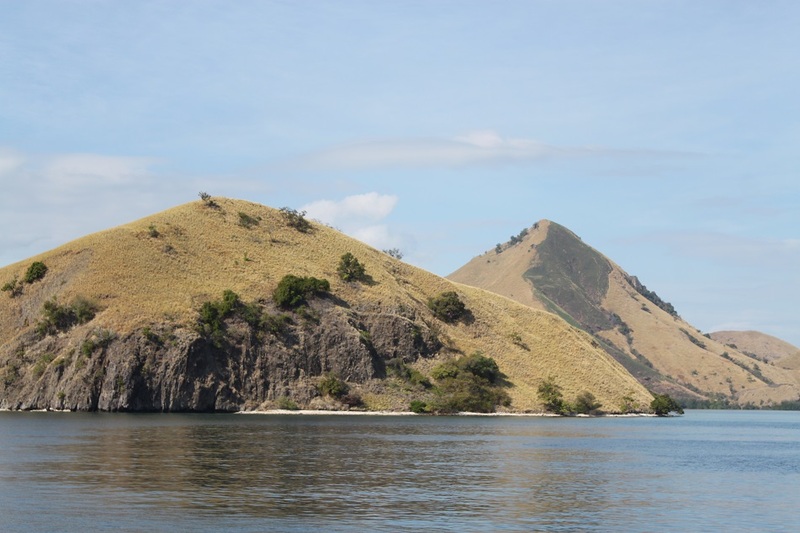 Prior to the trip I read that Komodo dragons did cross the sea to get to other islands, but now not anymore. Gonzales, our guide, assured us that they didn’t like water. But a more reasonable reason for me was the fact that there was enough food on the island so the dragons really didn’t need to go anywhere else to find food. Thank you, Sabrina. Glad you enjoyed this post. Love reading this. Those beautiful photos made the story more beautiful too. Hi RaW. Thank you for your kind words! But everything was made possible because that corner of Indonesia is such a beautiful place in and of itself. Hi Bama, what an adventure – dragons and first time snorkeling! I’ve heard of the Komodo dragons but didn’t realize they were that pierce! I’ve also have not seen that much upclose images of them Yikes, they look scary! I now appreciate the idea of not letting the visitors roam around without the park rangers. Sad about the pink sand not being to pink anymore:( From your description, your underwater experience was quite breathtaking. Too bad you didn’t bring an underwater camera with you; would have loved to se a glimpse of it. Standing so close to the dragons was both frightening and mesmerizing. I knew they were such fierce, cannibalistic creatures. Yet on full stomach they were quite lazy, and surprisingly elegant. I would love to go back to Pink Beach one day to snorkel, and I will make sure to bring an underwater camera. I remember reading your post on Bora Bora and seeing your underwater photos reminded me to always bring an underwater camera every time I go snorkeling. Hi Kamila. Thank you! Glad you enjoyed reading the post. Ah, so if Indonesia has to wait until 2015 it only means one thing: you have more countries in the pipeline. 🙂 We are also looking forward to meeting you in Chennai! Cita-cita banget kemari belum kesampaian. Hvft. Ajakin lah mas ajakin…. Hi Samjoth. It really was a memorable adventure! I really miss those islands and beaches. Pingback: The Menjangan Part 2: Underwater Gardens | What an Amazing World! Pingback: Baluran: Into the Wilderness | What an Amazing World!